Shake a few hands in Iowa, and you’ll find someone who works in finance or insurance. 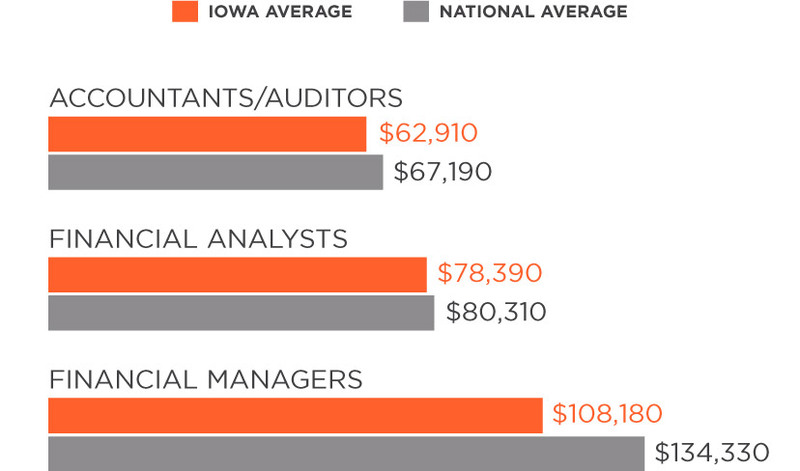 Iowa is home to one of the highest concentration of finance and insurance professionals in the nation. The industry accounts for nearly 6.8 percent of the state’s workforce. Iowans are revered for their high-level of education and employer loyalty, and the industry is taking notice. The number of Iowans employed in finance and insurance has shot up in the last two decades as companies open new operations or relocate to the state.